Launching a website is not just about the cost in money...the time to learn, understand and manage it can be daunting! Yet, not understanding is like driving your business down the information superhighway in the rain! Would you hire a Plumber to install a roof? A Roofer to remodel your basement? Would you hire yourself as a webmaster? You aren't spending more on Hosting, you're saving time and money on IT allowing you to focus on your core priorities. We manage all the updates as well as any compatibility issues that affect your site. Many updates to WordPress core files, Themes and Plugins are due to security issues. A change to the core can cause conflicts with older plugins and themes. We monitor these updates, implement them and when a conflict arises we can address it in several ways so that your site is safe and running. You spend less time managing your website. We manage the the security of your site in three ways. Our servers are hardened. We lock out multiple failed logins to your admin panel making brute force attacks impossible. Because we specialize in WordPress hosting, we don't need to adapt security settings for general use. We monitor the site frontend 2 times a day for visitor malware and trojan linking. We monitor the core files for changes on the backend. If you are hacked, we fix it for free! Our server runs Google Pagespeed at the server level. 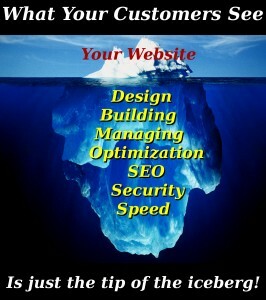 Simply moving your website to Contractor Hosting will likely improve the speed of your website. When you sign up for our annual or biannual plans, we further optimize your site for the best possible page loads. We utilize cloud based CDN to off load much of your static content. We optimize images for faster browser loading. These optimizations are manually done for the best results. More Than A Host...More than A Managed Host! Contractor Hosting brings together all the element's you need for a successful web presence.